Exemplar of the red-figured technique that replaced the Attic black-figured technique. 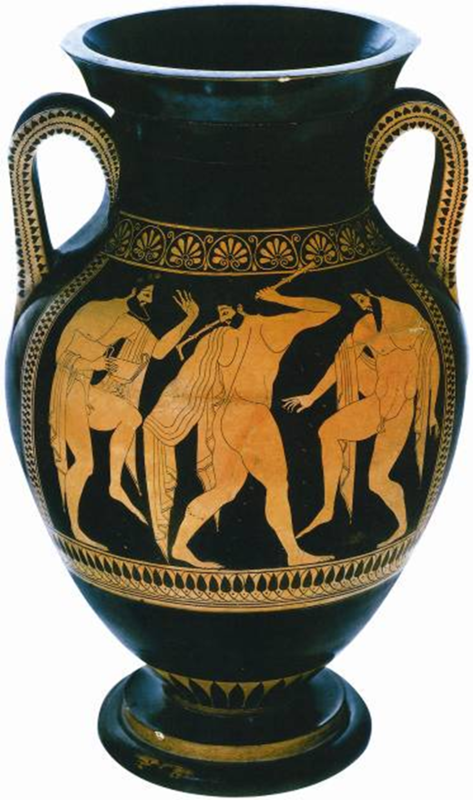 Red-figured painting made greater detail possible, as shown in the anatomy of the figures of this amphora. Kahn Academy article on the vase and red-figured painting.